The Nathan Hale & Conference Center is now Wireless. Located on the prestigious grounds of the University of Connecticut main campus. The building is 5 stories high with 100 guest rooms, including 17 executive kings and 1 presidential suite. 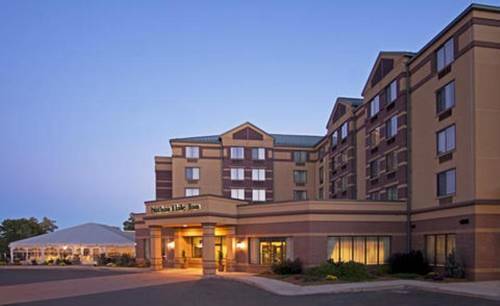 The Inn is a full service hotel, which includes a restaurant, lounge, business services, meeting rooms, indoor pool, Jacuzzi and Fitness Center. The Conference Center can hold meetings from 5 to 200 people. Not TV's mangy mountain man, but the real "Grizzly Adams," who killed or befriended bears depending on his mood. Opened by Carlton and Edna Nash in 1939. They're gone, but son Kornell keeps this place going, and he's expanded the dinosaur track quarry! "Nibbles Woodaway," a giant blue termite, promotes the extermination acumen of New England Pest Control.